The year 2019 brings an all-new, redesigned Lexus ES sedan, with a bold new look and plenty of new features. In addition to the standard and hybrid options, the ES is now available in a performance-minded F Sport edition for the first time ever. The 2019 model is also a bit larger than its forebear, providing a longer wheelbase and improved cabin room. This year's V6 ups the power compared to last year's model, bringing an increase of 34 horsepower and 19 pound-feet of torque. 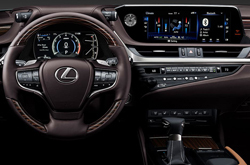 In addition to an upgraded drivetrain, the 2019 Lexus ES brings a full array of upgraded tech in the cabin - including an optional 12.3-inch infotainment screen, a standard Verizon WiFi hotspot, and Apple CarPlay. This is clearly the most advanced ES sedan ever. 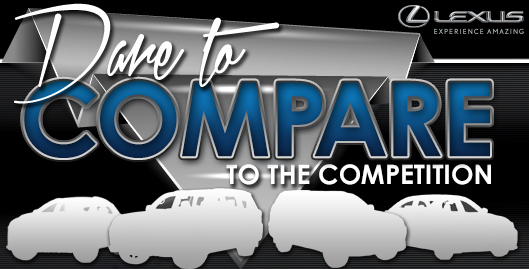 For the standard V6 and hybrid models, three trim levels are available: Base, Luxury, and Ultra Luxury. In addition to standard features, the Luxury trim provides perforated leather interior surfaces, a 14-way power-adjustable driver's seat, heated and ventilated front seats, a driver's seat power cushion extender, and wood trim with ambient lighting. The features top out with the Ultra Luxury package, which brings perforated semi-aniline leather interior trim, a power open/close trunk with kick sensor, lateral performance dampers, and a power rear windshield sunshade with manual rear door sunshades. For the performance-minded, the F Sport comes with exclusive 19-inch wheels, suspension tuning, bolstered sport seats, a rear spoiler, a heated steering wheel, LFA-inspired digital instrumentation, and a custom-designed F Sport interior. The standard drivetrain on the 2019 Lexus ES includes a 3.5-liter V6 engine, putting out 302 horsepower and 267 pound-feet of torque. Last year's six-speed automatic transmission has been replaced with a new eight-speed model that offers better acceleration and efficiency. The hybrid option comes with a 2.5-liter Atkinson-cycle four-cylinder, rated at 215 horsepower. Performance of this impressive sedan tops out with the F Sport package, which includes an adaptive variable suspension with 650 individuals of damping and additional drive modes. 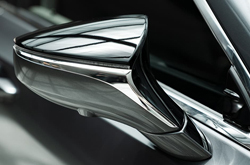 Standard on all ES models is Lexus Safety System+ 2.0, the most comprehensive suite of safety features ever offered on a Lexus. This includes new low-light pedestrian detection and daytime bicyclist detection technology, built-in cameras that can read traffic signs, blind spot monitor with rear cross traffic alert and intuitive parking assist, a panoramic view camera monitor, premium triple-beam headlamps, a 10-airbag system, and whiplash injury lessening front seat backs. 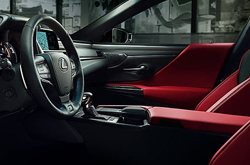 Additional safety features include rain-sensing wipers, vehicle stability control technology, advanced traction control, and Lexus Enform Safety Connect.